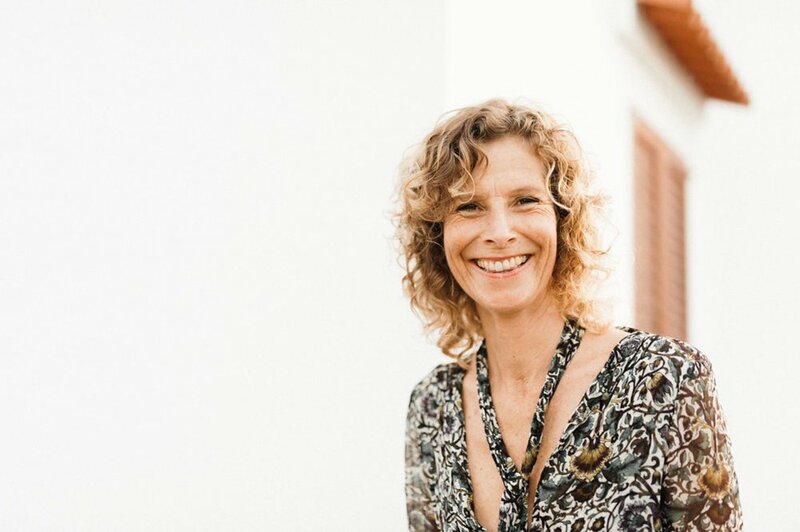 Liz works as a intuitive teacher and speaker in the Netherlands and on Ibiza. She works with individuals, teams and organizations. Guiding them back into authentic leadership. Liz was born into a, by generations, entrepreneurial family, in a little village in the southern part of the Netherlands. No wonder she has been an entrepreneur herself most of her life. It is in her blood. Being a very intuitive child she felt not always seen or understood for who she was by her environment. Which made her start to withdraw into her own world. At school other children bullied her because of her height, 6 feet 2 and her looks. Wearing her own designed clothing was not appreciated by them. And so slowly her bright light faded. When she went to high school she decided that being “normal”, adjusting herself to the other kids would be much better. And so she did. At the age of 17 she left home to study economics in Antwerp, and later on in Rotterdam. She spent some time in the USA for her study, was very active as a board member of AIESEC, worked at the department of international exchange of the University for a while and organized divers student activities. Seen by others as a promising career woman. But at the age of 24 she collapsed and was bed bound for two years. Left with only her sensitivity since her body and mind no longer functioned as it did before. A long period of healing started. A period wherein she tried almost everything there is to try in the alternative world of medicine, since the regular doctors had diagnosed her with a chronical fatigue syndrome and wished her luck. Telling her that this would be something she would need to deal with the rest of her life. Liz instantly felt though, that she would heal from it. After being in bed for two years, she understood she would need to help herself. And started her quest in the alternative medicine world. A very interesting tour. Studying Chinese Medicine, divers meditation techniques, going on retreats, and being guided by her intuition to inspiring teachers. which her body and mind were for a long time, she needed to learn how to deal with all this information coming to her. She understood that the reason the information that she was receiving was fragmented and often unclear was caused by her own emotional pollutions and beliefs. And to make sense out of the information she would need to dive in her own inner world. Which she did. At the age of 37 she was offered a job as a management teacher at the University of Rotterdam. She accepted it. After spending so much time in solitude, diving into inner realms, it felt right to take a down to earth job. During this time she also started her own training company. After three years as a teacher she left this job to focus on her company completely. For 6 years she successfully and with great pleasure gave personal development and leadership training’s and guided managers in their job. She left everything behind this time. Sold her belongings and went to travel the world. Simply being herself, open to receive whatever crossed her path, to learn and grow by it. Years of great transformation followed. She ended up at the island Ibiza, and stayed there to work and live for 3 years until the end of 2017. Giving retreats, workshops and individual sessions. At the end of 2017 she again felt it was time for a change. She started to travel again. Both in- and outwards. In Europe and South America. A deeply transformative time, which prepared her for the next step: Founding the Love4Life Academy. Where people come to reconnect with their (full) potential, and find new directions and purpose for their lives. Based in Amsterdam, Ibiza and London. We can make this a long one or a short one. Of course with the age of 51 and a life where Liz has always followed her heart and intuition there is a lot to tell. But to keep it sweet and short. We will just highlight some of the main events in her life. Like we already told you at the age of 24 she was knocked out of life as she knew it. A chronical fatigue syndrome brought her in bed, only to get out of it two years later. Although looking back there were earlier signs, but they were neglected, causing the wake up call to be a true big bang. Instantly bringing Liz’s life so far to an end. This brought her on a path that took her to all corners of this planet, but also into the deep realms of her inner world. Learning, growing, falling, getting up, becoming richer, healthier and feeling more love which each step. She starts to understand along the way that we as human beings have an tendency to disassociate ourselves from pain. Not knowing in the moment how to handle it or unable to handle it being a small child. Creating diverse alternative shadow/patterns, that we start to identify with and define as ourselves. Next to trauma these programs can also be developed by external influencers like media, (school) systems and society. In the following years her own shadows started to come to the surface into her consciousness. Years of, as she calls it, walking through her own hell followed. Guided by her higher self, consciousness, she learnt how to integrate these patterns. Bringing her a deep understanding of the power of love. Later on Ibiza she starts to guide others in this same process. Bringing them back to their self-love. Able to be the creator of their life again. No longer enslaved by these shadows/patterns. And Liz’s path towards growth and expansion of her ability to love and serve all continues. At the age of 39 Liz had a clear vision. She saw herself running an inspiration center. Her vision showed a center, where people can come to learn how to be in the middle of life, without being ruled or owned by the world. She loves to co-create a world where people feel free to be themselves. She believes that authenticity holds the key to a happy, healthy and abundant life. In a time where most no longer feel safe enough to be themselves. Hiding both their light and darkness behind masks. For others to be seen and held. Fully accepted for who they are. To explore all of the aspects they carry within. To be come whole again. Her vision is still very much alive and the Love4Life Academy is another step towards this dream. Although she offers diverse services, they have one thing in common. They are all based upon reconnecting you with your authentic self. For you to step into your power. To be able to manifest your dreams. To bring out the best of you, your team and company. Her love creates the space for you to explore what presents itself. Her teachings guide you in finding your own path and purpose in life. She works with humor, love and clarity. Which makes it a light hearted experience for all.